I love preparing nail-art tutorial blog posts for you because it’s creative, fun, and challenging. I’ve been flirting with the idea of one day getting on YouTube and filming tutorials for you since sometimes it’s easier to see someone actually paint their nails on video instead of just relying on step-by-step photos. These days, I’ve been having a lot of fun watching lacquer-loving YouTubers. In this Smorgasbord Sundays post, I’ll share with you just a few of my favourite ones. Which YouTube channels do you watch? Do you have your own channel? Here’s my quick shout-out to PlasmaSpeedo, DandyNails, and cutepolish! You can click on the link or the images to head to their channels and see their videos. Not only is she funny, but she’s also down-to-earth and very humble. Even when she stresses that something isn’t a tutorial and that she’s just playing around with a design, I find that she comes out with something that really impresses me. DandyNails is another one of my favourite nail YouTubers because from just watching a few minutes of any of her videos, her passion for polish shines through. I also really love the nail designs she comes up with and hearing her thoughts on the new collections and colours she picks up. She reviews collections thoroughly and provides swatches. cutepolish shares quick and simple nail-art tutorials, and I enjoy how she makes every design seem easily replicable. Her videos are also really short and to the point, which is what makes them easy to follow. What are some YouTubers who you enjoy watching? Do you have your own YouTube channel? Please share – I’d love to check them out. 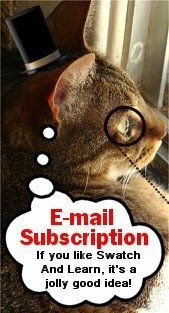 This entry was posted in Smorgasbord Sundays on January 29, 2012 by Mary S..
Do you have your own channel? Yes, but I haven’t done any videos (yet?). I mainly use it to keep track on my favorite channels and stuff like that. I love watching SimpleLittlePleasures. She has a giant passion for nailpolish and has a bunch of creative watermarbles. Also, my favorite youtuber of all time is KlairdelysArt. She is sooo creative and georgousssss! You’ve reminded me that I was supposed to try water marbling some time ago, but somehow things got hectic and I didn’t get a chance to do it. I must write it down on my To Do List. I’ve never heard of KlairdelysArt – thanks for the suggestion. I may check her out! I’d totally watch those videos if you ever do start a YouTube channel! 🙂 Better if Cheshire Cat has cameos. 😉 I really like Robin Moses on YouTube. She’s amazing. I love her work and I know that she usually works with gels or acrylics but it’s still amazing nonetheless. She makes it look so easy! Thanks for your support! 🙂 If I ever do end up making YouTube tutorials, they’d be really short tutorials with simple designs. 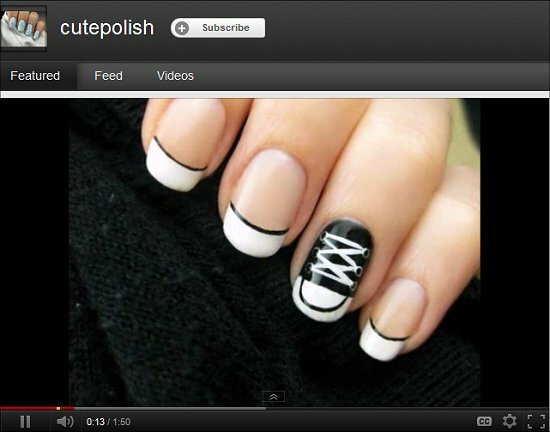 I like how cutepolish is able to execute brilliant designs with simple methods. It makes nail art more accessible and less intimidating. I watch a bunch of YouTube channels and I don’t usually keep track of names. Usually I just look for tips and stuff and if I find a video that I think might interest me I watch it. If you had a channel I would watch every video you make. Awww…You just made me smile THIS BIG! 😀 You’re so awesome – I’m so thankful to have such supportive readers like you! What kind of YouTube videos would you prefer that I make? Tutorials or even videos talking about collections? I don’t follow a lot of nail art tutorials on youtube. I find them to be really slow and boring. 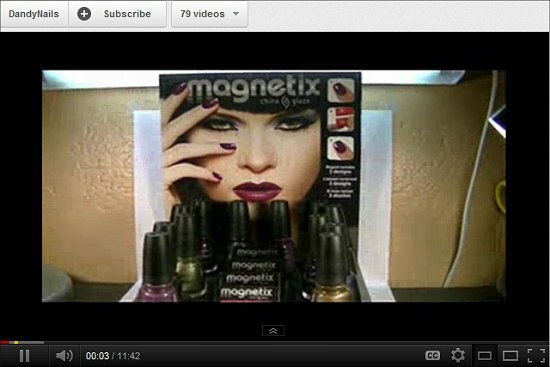 I do love some good beauty youtubers though like JLovesMac1. She’s freaking hilarious. That woman needs her own comedy show. 90% of her videos are about randomness and the other 10% on the actual product(s) she’s reviewing. I love that she’s not afraid to make fun of herself. Haha, really? Even cutepolish’s tutorials? They’re so fast and simple. And her voice sounds so calm (that’s partially why I enjoy her videos, actually). I’ll check JLovesMac1 out. I could use a good laugh or dozen! Other than Robin Moses now and then, I look for specific things and it could be anyone’s. Acrylic paint – even though I use polish for stamping, I like the acrylics for types of shapes I’m not finding on the stamps. There was a Thai video that showed flower petals really nicely. Couldn’t understand a word, but I matched the result. There’s a French one I watched for dotting. And Robin for foils and acrylics. And there were three who talked about water marbling, but I don’t remember names. I’m really bad about that. It’s cool how some people use acrylic paint instead of polish to do designs. Apparently the pigmentation’s better, it’s less expensive, and because the acrylic paint doesn’t dry as quickly as polish does, it’s easier to fix ‘mistakes’. One day I want to try using that instead. All my tutorials are with regular nail polish. I have only seen PlasmaSpeedo’s video that talks about the things nail polish addicts say. It was hilarious. Mostly because she sounded exactly like me, lol!! I have to check out her other videos now that I’ve read your description. I don’t look at many YouTube videos, but I really like mysimplelittlepleasures. She has great tutorials on water marbling and she does some nail art as well. It’s actually what led me to blogging because she also has a blog. 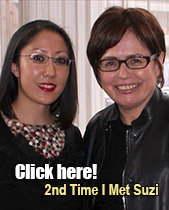 Once I visited hers, I realized there was a whole world of nail polish lovers like me ;0). Haha, yeah, I could related to her video about things nail-polish addicts say. I was howling with laughter when I watched it! Wasn’t it an amazing feeling when you found out that there were nail-polish bloggers and YouTubers? 😀 I remember the first time I found out, it opened up soooo many windows and inspired me to become more creative and adventurous with my nails and nail art. Yes, it was definitely a great day when I discovered them. I also felt more normal, heehee ;0). I totally just came across your blog and so far I’m loving it. YAY for being a new reader! I really hope that you’ll come back soon. There’s always something new here, and if you ever take photos of your manicures, please feel free to share them on my Facebook wall. I’d love to see, and I’m sure that my readers would, too. That Plasma what nail addicts say video is HILARIOUS! I even made Peter watch it and he now catches me saying some of those things. Lol!!!!! !